Vassar Golf Course is a nine hole public golf course situated on the beautiful Vassar College campus in Dutchess County, New York. Established in 1930, the course offers a scenic 2,500 yard layout with beautiful mature trees, character and charm. All players are welcome on a first come, first serve basis. Vassar is a very enjoyable walking course, however, golf carts are available. An average round of golf requires only two hours. Vassar welcomes golfers of all levels, including juniors, seniors and families. The course is a fair challenge for beginner to intermediate golfers. No tee times, first come first serve. 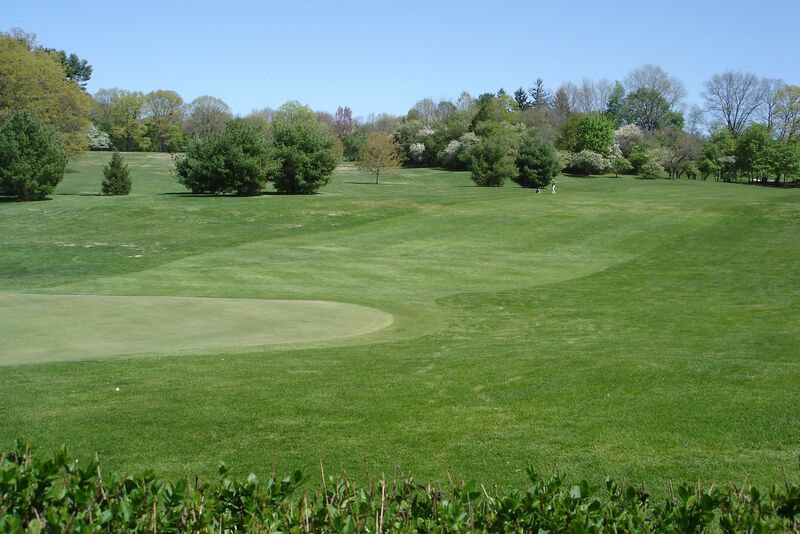 With the beautiful and prestigious Vassar College Campus as a backdrop, Vassar Golf Course is the ideal setting for your next golf outing - fundraiser, tournament, corporate or social golf event. We cater to small groups who want to focus their day on a Fun Day of Golf. All aspects of your day will be organized from start to finish: instructional clinic, golf , scoring and lunch. Customized to meet your needs. Details. Please call (914) 204-7304. To be added to our e-mail list, please send an e-mail to rhett@vassargolfcourse.com. To sign-up call 845-473-9838 two weeks in advance. See the Schedule of Events for event details. See the Calendar of Events for the full season listing. See Junior Golf Academy for details and application. If anyone is interested in joining or forming a new league (Men's, Women's or Mixed) for 2019, call Rhett at 914-204-7304. Gift the gift of golf this holiday season! Gift certificates are available during the off-season and can be mailed or picked up at the golf course. Please call (914) 204-7304 or e-mail Rhett at rhett@vassargolfcourse.com.